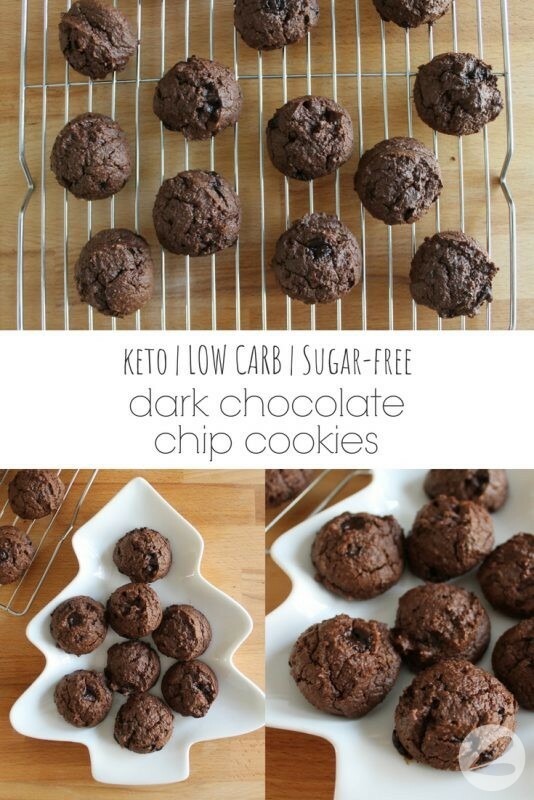 These cookies are moist, chewy and the perfect low carb, sugar-free keto treat! I began by testing out a number of recipe variations in small batches. Recipe ingredients like almond flour can be expensive so it’s a good idea to start small. 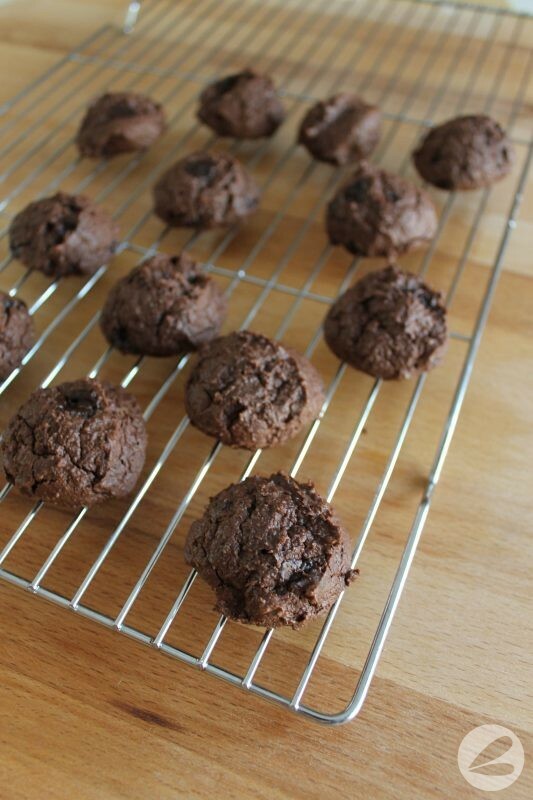 Finding taste testers interested in sugar-free cookies can also be a challenge (crazy but true!) After a bit of tweaking this recipe has fast become a favorite. 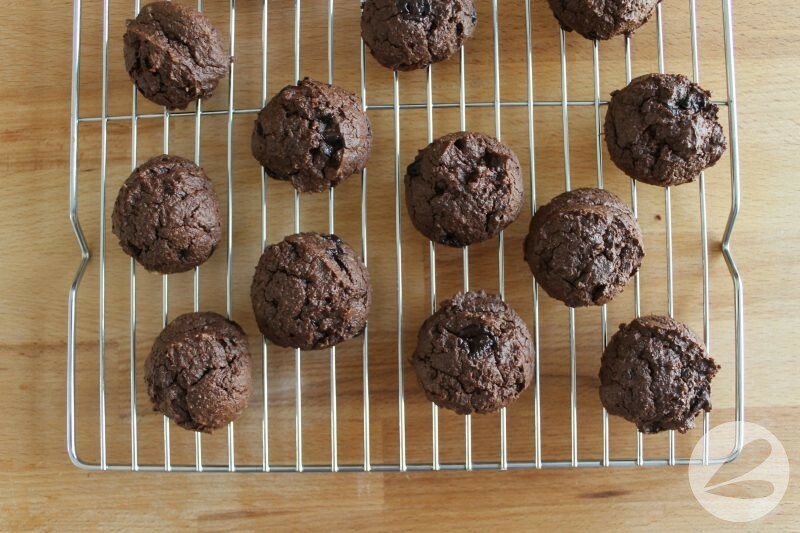 The dark “chocolate chips” that I used for these cookies actually come from chopping up two squares of my favorite 90% Dark Chocolate Bar from Lindt. 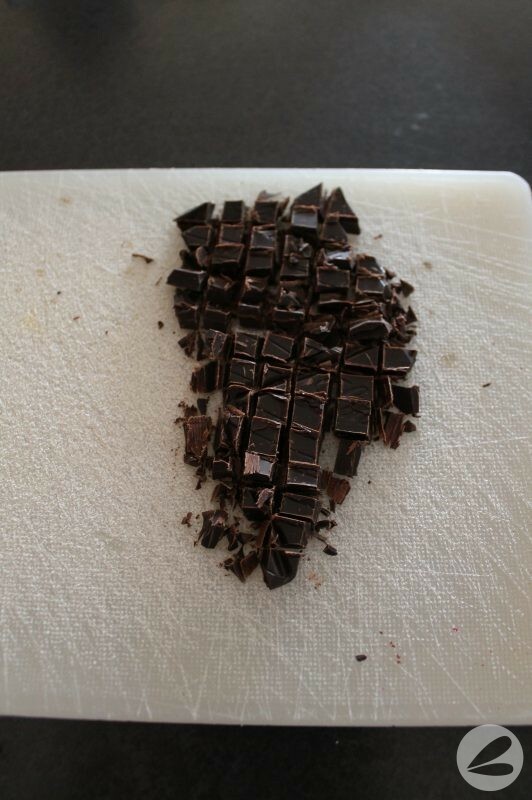 I just find that this chocolate is not as bitter as dark bakers chocolate. 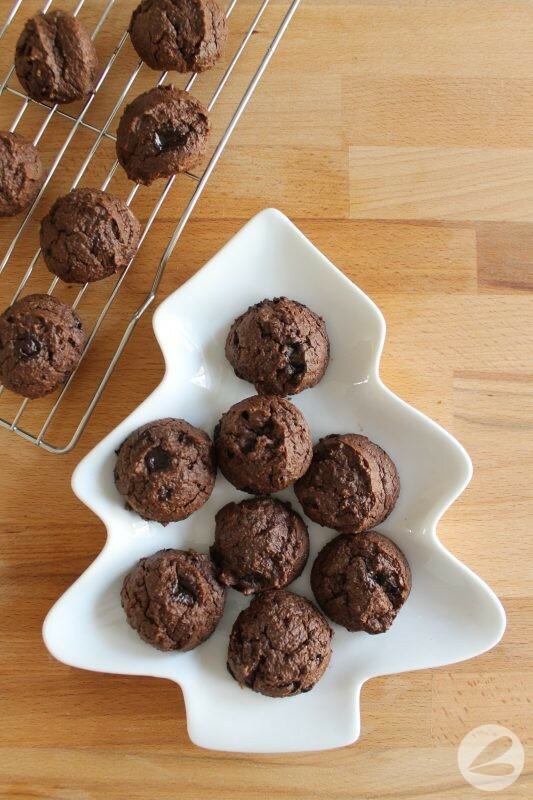 You could also use sugar-free chocolate chips found at your local health food store. 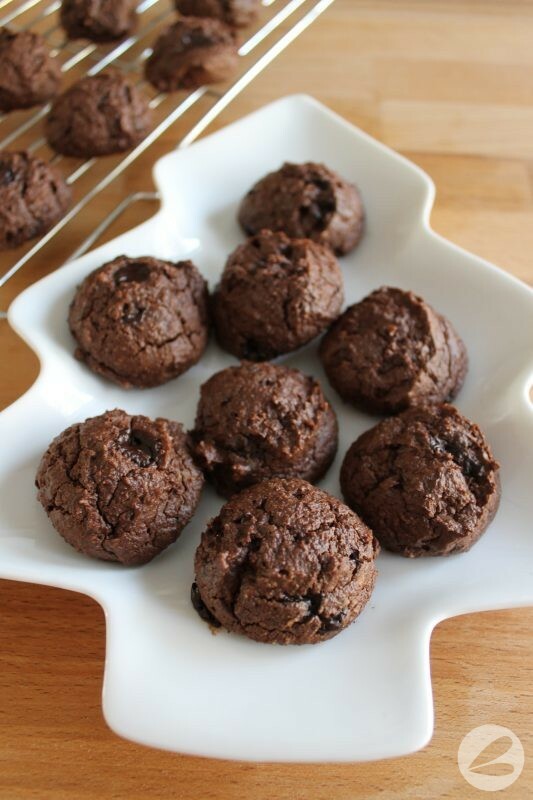 This is not a traditionally “sweet” cookie recipe so if you want a sweeter cookie you can totally add more stevia to the mix. Just be sure to adjust the carbs accordingly because each tsp of stevie adds one carb. Add egg, extract, cheese and chocolate. 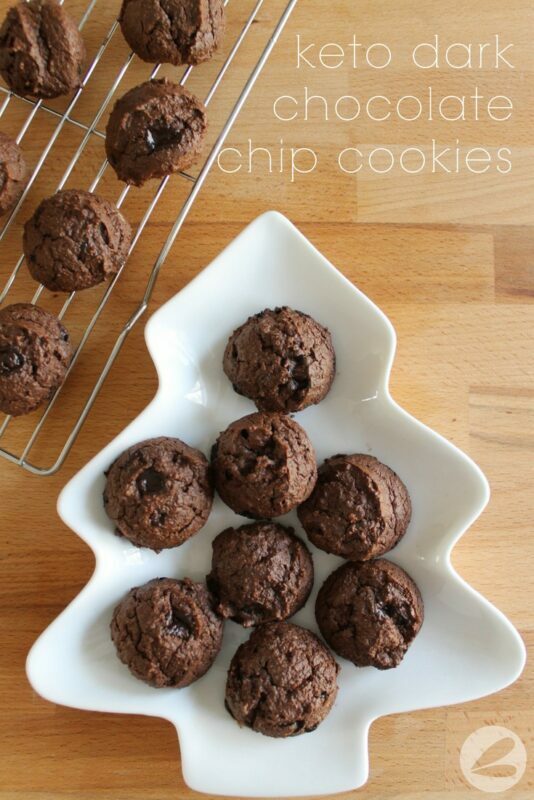 Now all I have to do is make these “festive” looking for our annual holiday cookie exchange. Anyone know how I can make white chocolate and peppermint “keto friendly”? ?